Shakespeare’s Globe is a reconstruction of the theatre which was originally built in 1599, and in which Shakespeare’s most famous plays were put on. In 1613, one of the plays ended in chaos when part of the thatched roof started to burn, eventually destroying the entire theatre. A second theatre was built on the same site, but this was closed in 1642 when all of the theatres in the city were shut down. 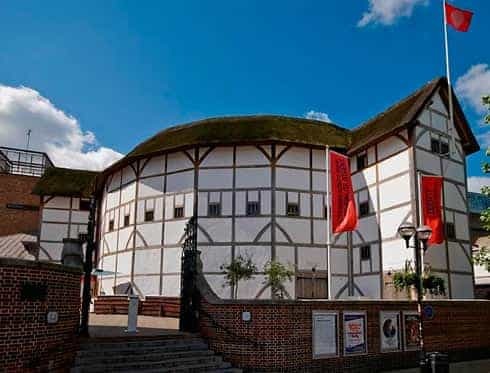 Shakespeare’s Globe did not open again until 1997, and nowadays theatre plays can be seen there between April and October.